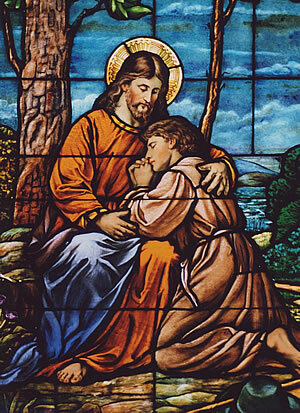 Mark 1:40-45 And a leper came to him, imploring him, and kneeling said to him, “If you will, you can make me clean.” Moved with pity, he stretched out his hand and touched him and said to him, “I will; be clean.” And immediately the leprosy left him, and he was made clean. And Jesus sternly charged him and sent him away at once, and said to him, “See that you say nothing to anyone, but go, show yourself to the priest and offer for your cleansing what Moses commanded, for a proof to them.” But he went out and began to talk freely about it, and to spread the news, so that Jesus could no longer openly enter a town, but was out in desolate places, and people were coming to him from every quarter. 1. Did Jesus want to heal the leper? 2. If we are sick, or we have done something wrong, will Jesus ever say, “No, I will not” or will he say, “Yes, I will heal you. Yes I will forgive your sins.”? 3. What was Jesus sent to Earth to do? Was it heal every single person or did he have a bigger plan? What do you think that bigger plan was?